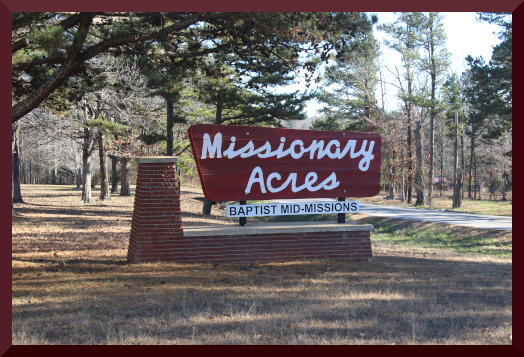 December 9, 2018, after we finished our meetings in Hardy, Arkansas, we returned to Silva, Missouri to Missionary Acres where our motorhome was parked for the month of December. Evangel Baptist Church is located on the grounds of Missionary Acres and I spoke for their Joy Club on Tuesday, December 11, and for their teen night on Wednesday December 12. The Church sends their vans out on Sunday Morning to bring in children and families from the community which made the next Sunday morning service the best time for Rawley and Randy to help me with the Christmas story. For the story Rawley and Randy sang their song “His Name is Life”. Jane sang two songs and the congregation sang “Thou Did’st Leave Thy Throne”. The children came forward and sang “Away in the Manger” and “Carol of the Beasts”. Sunday night I was able to share a message and present our ministry to the church family. Please pray for those who heard the Gospel but have not accepted by faith God’s gift. Please also pray for Evangel Baptist Church as their new pastor Tim Newman and his family arrived last week. Pray that they will be accepted in the community and can reach into homes with the gospel. On December 19, 2018 on Wednesday night, we presented our Christmas Program at Cool Springs Baptist Church in Williamsville. The Church got the word out that we were coming to the church and the response was exciting. We had over 80 people come that Wednesday night and they enjoyed the ventriloquism and heard the gospel. Becky the pastor’s wife believes that 50% of those who attended were probably unbelievers. Please pray that God’s word will not return void and that those who heard will think about their own need to open the gift of salvation for themselves. For Sunday morning December 23, I was able to preach to the Cool Springs church family and present our ministry in evangelism. The church is in the hills and near the church is a creek fed by a cool mineral spring – the water is deep green (probably from copper deposits). They have recently completed an extensive remodeling project and by God’s provision the project was completely paid for. 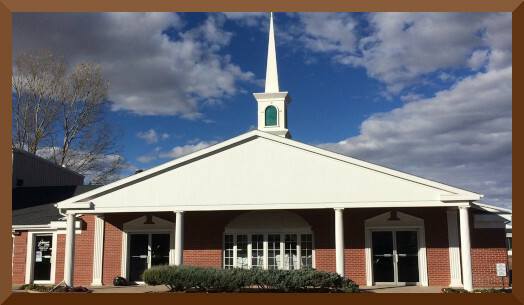 The Cool Springs Baptist Church is prayerfully looking for a pastor. Currently Pastor Jim Story a retired missionary who lives at Missionary Acres is serving as the interim pastor, but he is tiring and is in his 70s. For three weeks in the month of December, we are parking our motor home at Missionary Acres in Silva, Missouri. On December 8, 2018, we traveled down to Hardy, Arkansas to preach and share with the church our Christmas Program. Foothills Baptist Church now has a new pastor, Craig Carroll who we got to meet for the first time. After preaching the morning service we all made our way downstairs to the fellowship hall for lunch. Then at 1:30, we headed upstairs for our Christmas program with Rawley and Randy helping me tell the Christmas story. Jane sang two songs, and Rawley and Randy sang a song. In the middle of the story, the congregation sang “Thou Did’st Leave Thy Throne” and the children came forward and sang “Away In A Manger”. It was good to see several of our friends that we have meet over the years in Arkansas and the privilege to meet those who have started attending the church. Please pray for the new pastor and his family as they continue to lead Foothills Baptist Church in Hardy, Arkansas to reach them with the gospel. On our way to Iowa we had to stop and see Caleb and Angel in Seward, Nebraska. Friday night they hada Christmas concert that we were able to attend. Caleb and Angel are doing well, and the baby is growing stronger every day. After arriving in Iowa, we found that Pastor Humburg was on a break because their Son Caleb was getting married. His break left Sunday morning open, so I was able to preach in our home church and share with them a gospel message and update the church with our ministry. During the week Jane stayed with the motor home and I traveled to Pontiac, Illinois to attend the board meeting for CIBM. Our president Mark Staley has terminal cancer and will not be with us much longer. Please pray for our Mission Board and for Nancy, Mark’s wife, as they make some hard decisions. I returned to Iowa to attend prayer meeting and head south to our next meeting in Hardy, Arkansas. Please pray for Come and for Altoona Regular Baptist Church as they start their search for a new senior pastor. 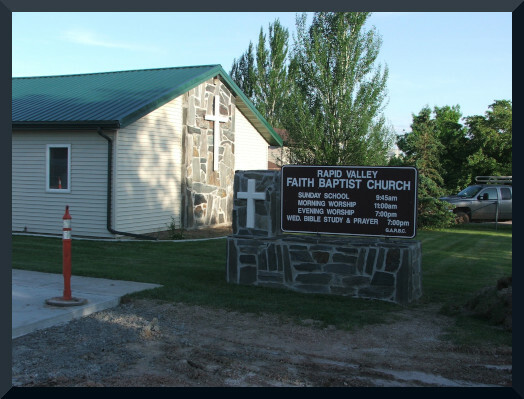 On November 18 & 25 I preached at my dad’s church in Rapid Valley just east of Rapid City, South Dakota. Our goal was to finish some work on the house to make it easier for my dad and his wife Loma to move around and be more comfortable. The house is still not finished and needs lots of help. Because of my Dad’s health,he is not able to work on the house all by himself and keep the churchgoing. Dad saw the need to step down as pastor of the church and allow me to come back in January as their interim pastor. Our plans are to work this project with Rapid Valley FaithBaptist Church from January 2019 – May 2019. We are open to return after our summer ministry in camps and Vacation Bible Schools. Our goal is to help my dad as he cares for his wife, finish his house and find a pastor for the church that will keep the church growing and reaching Rapid Valley with the Gospel of Christ. Please pray for my dad as he makes this hard transition and seeks help for urgent health needs. Then we headed north of Cheyenne to Gillette, Wyoming. We presented our ministry to Central Baptist Church and Pastor Prettyman. Their bus ministry brings in many children from the community. This gave me a great opportunity to share the gospel through ventriloquism and object lessons in children’s church. Sunday Night I then introduced Rodney to the adults and preached an evangelistic message. It was good to see friends that I grew up with in high school. Michelle and her husband Wayne help in the church as well as their children. Then on Monday we ate lunch with long-time friends — Harold and Marg Parks who reside in Gillette because of their health and Skip and Raquel (their daughter and son-in-law) brought them over to Perkins. For November 4, we left Thermopolis, Wyoming and headed for Cheyenne, the state Capital to update one of our supporting churches. 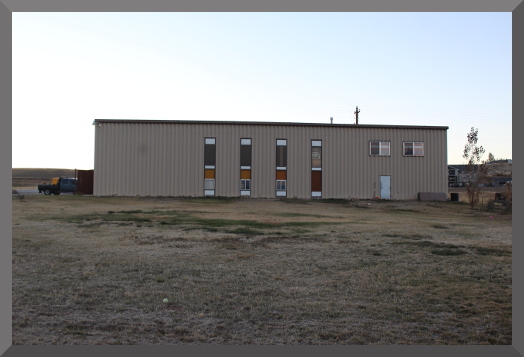 Faith Baptist Church with Pastor Tommy Miller has moved locations and is now in a larger building that is located near the current growth of the city. I had the opportunity to preach to the children in their new child car ministry and I presented our ministry to the church in all the services on Sunday. 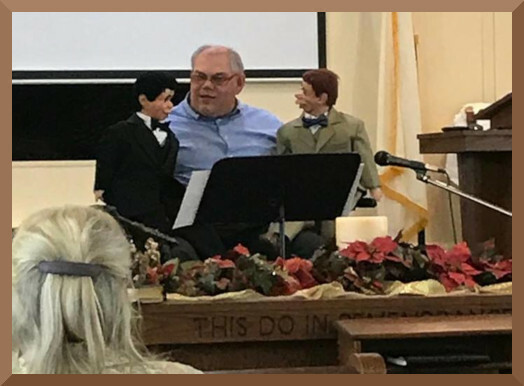 The church family enjoyed the ventriloquism and the preaching of God’s Word. Please pray for Pastor’s wife JhaRee as she recovers from surgery on her hand. Also pray for the church as they finish up their remodeling of their building and as they seek to reach this new area with the gospel of Christ. During the week we were able to spend some time with pastor and his wife. We also visited friends of ours in Denver and my sister and her family in Greely, Colorado. Her two girls Shari and Reagan are finishing up their college studies and starting their lives in various work places. Thanks for praying for the Silcott Ministries. Our next meeting was just a few miles down the valley in Thermopolis, Wyoming at First Baptist Church with Pastor Harvey Seidel. When I was a child, my parents where supported as missionaries from the church in Cody, Wyoming when Pastor Seidel was in Cody. Now that he is in Thermopolis, it was a joy to see him again and catch up with him and his ministry. We introduced our ministry with a whole family Sunday School and more ventriloquism in the morning service and a clear gospel message. We rejoice that a young man in his 30’s trusted in Christ as his Savior that morning. In the evening service I shared with the church family another story with ventriloquism and a message from the New Testament. I presented the gospel through the life of the demoniac of Gadara out of the book of Mark. Please pray for Pastor and his family as they reach this community for Christ and as they pray about having us come for a Daily Vacation Bible School in the summer of 2020. 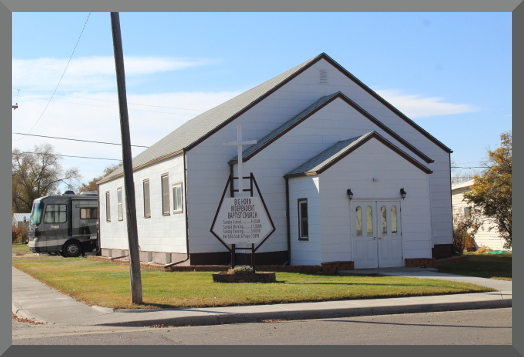 The Sunday of October 21, 2018, we ministered at Big Horn Independent Baptist Church in Worland, Wyoming. We enjoyed our fellowship with Pastor Ron & Kit Fanning and the church family as we presented our ministry in evangelism in a whole family Sunday School and Morning Service. For Sunday night we answered questions about our ministry and presented our mission board. 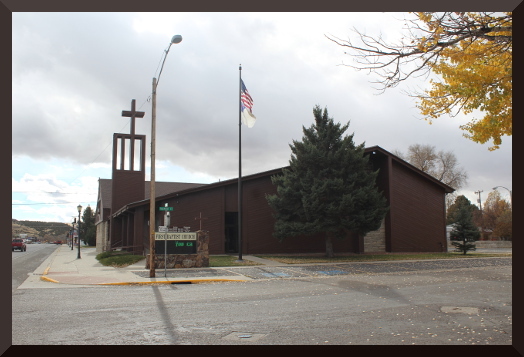 On Wednesday morning Pastor Fanning organized a meeting in the community center for me to speak to the home school group in Worland. It was a great opportunity to speak to over 30 people who came to listen to Rawley tell the story of Jonah and the Great Fish and what Jonah learned about God in the Mediterranean Institute. Please pray for those who do not know the Savior to trust in Him soon. 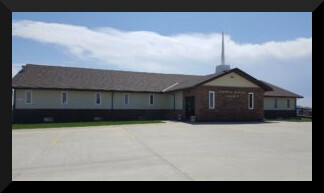 Please pray for Big Horn Independent Baptist Church as they seek to reach this community for Christ and pray as we return for a Daily Vacation Bible School the Summer of 2020. During our stay in Worland, Wyoming, we had a chance to drive through Yellowstone National Park. I also helped Pastor Ron build a roof over a parked camper to keep snow off the roof and I helped Pastor Ron and Kit process an elk that one of the church members harvested for meat for his family. 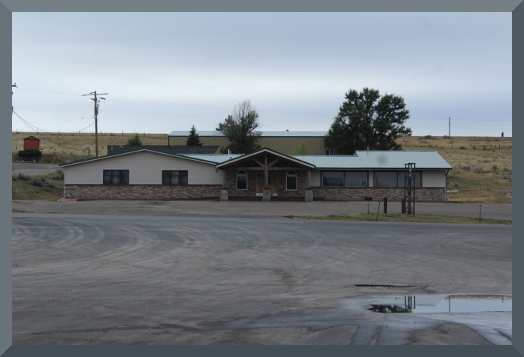 After attending the Northern Plains Pastors Conference, October 7 – 10, 2018 we headed to our next meeting at Grace Bible Church in Lander, Wyoming. Pastor Timothy Senter and his wife Chris have served the Lord here in Lander for 10 years seeking to reach this area with the gospel of Christ. After arriving in Lander on Friday, we rode with Pastor and his wife to Rock Springs three hours south for fellowship and to resolve an issue with the borders of the church property. We had to find a former church member and a notary to witness the signing of some papers. With help from some friends of ours and wonderful timing God brought it all to a successful ending. On our way back from Rock Springs we were welcomed with a snowstorm topping the mountain pass just south of Lander. This storm meant that the only people in church on Sunday was the pastor’s family and the traveling evangelist and his wife. I still preached the message that God laid on my heart to a sparse auditorium. On the pulpit though was pastor’s phone broadcasting the service live on Facebook for all to hear. Please pray for this growing church and for God’s Word to keep working in lost hearts. On September 30th we had the privilege to return to Frontier Baptist Church to present our ministry to this thriving church. On the west side of their building in Douglas, Wyoming they have a 50 amp plug for RVs and a water spigot for our comfort and quick hook-ups. I spoke for a whole family Sunday School; Pastor Ricker preached for the morning service; and on Sunday night, I preached from the Gospel of Luke and presented our ministry in missionary evangelism. During the week I was able to help some of the church members and the pastor as they worked on a new garage door and prepared a future church sign for the front of the building. Please pray for Pastor Ricker and the church family as we look at our future schedule for Vacation Bible School in the summer of 2020.